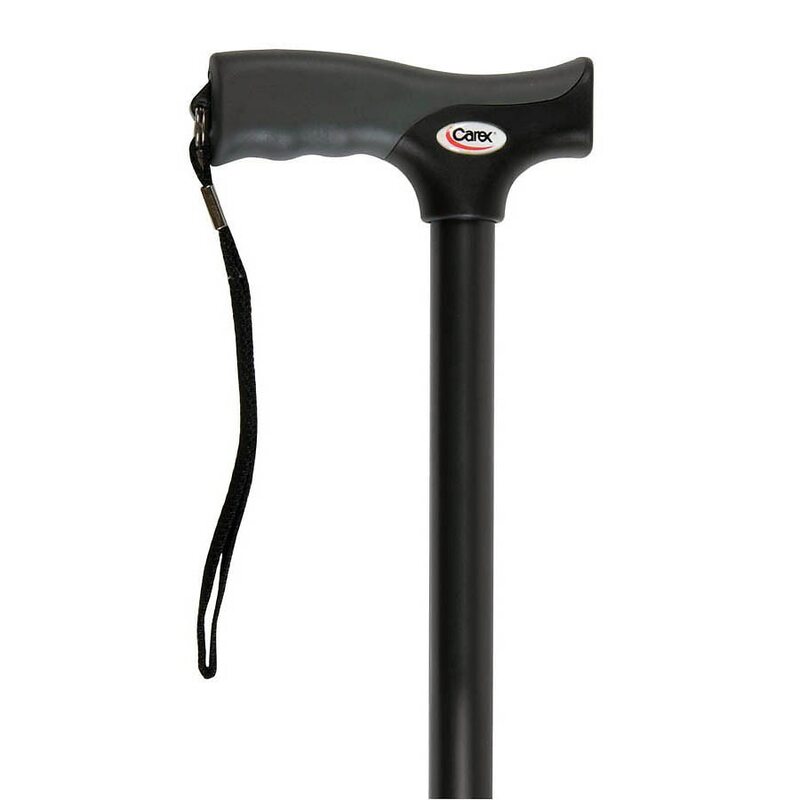 Carex Soft Grip Folding Cane Black1.0 ea. The Carex Soft Grip Folding Cane is made with innovative technology to provide the most comfortable grip on the market. The grip reduces pressure and stress on the wrist and feels soft to the touch. This cane is stylish, ergonomic and safe to use with the anti-slip feature. Folds easily for storage or travel and has convenient wrist strap. See package for illustrations on how to open, fold and adjust your folding cane. Consult your physician or healthcare professional for proper walking.